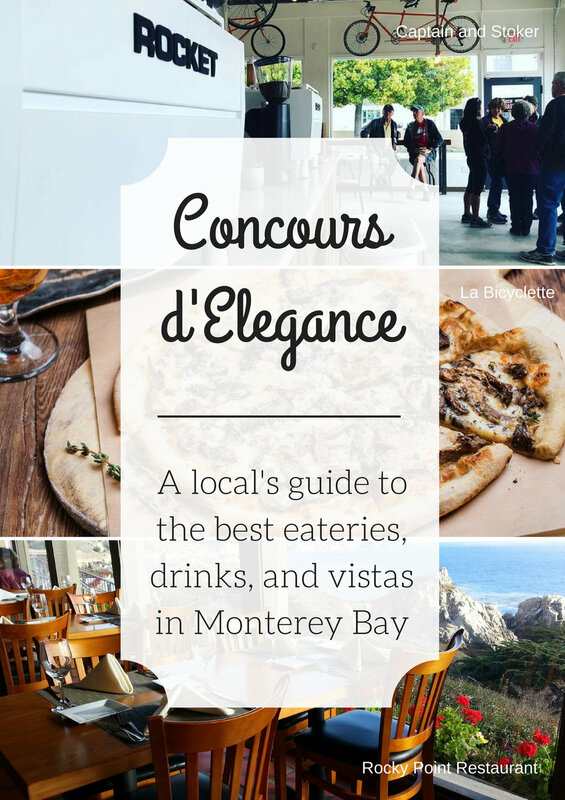 Our friends (and affiliates) over at My Produce Club wrote an outstanding article featuring Monterey area restaurants to visit during the upcoming Concours d'Elegance week at Pebble Beach! Earlier this week WCPI teamed up with the crew from My Produce Club and made some delicious fruit pies. Together we decided on 3 different recipes that used the freshest ingredients. We'll start with this marvelous Lemon Pie, recipe created by none other than Joanna Gaines. Who has the Magnolia Table cookbook?? We loved this recipe because of how simple and fresh it is! Then we went rogue and topped with berries from Driscoll's. Great life choice. 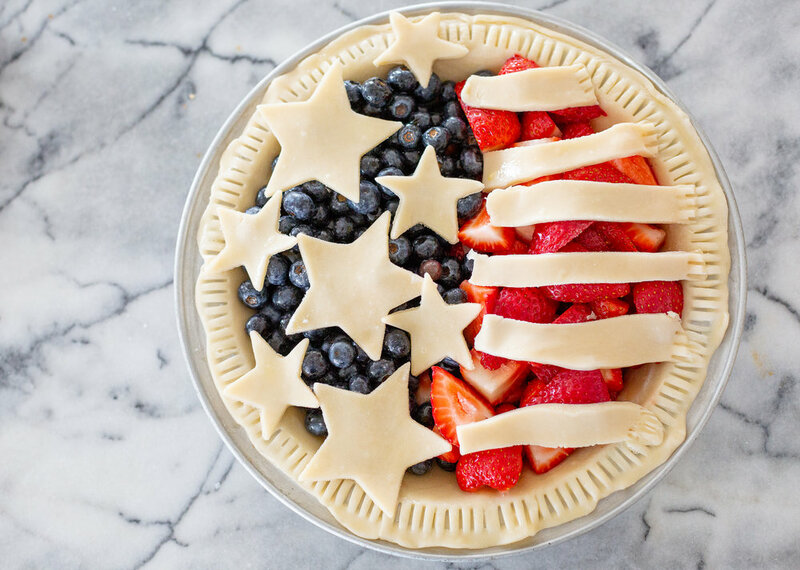 We also made a strawberry-blueberry fruit pie topped with stars and stripes made out of pie crust. Looks ambitious, but it was very easy! Stars were made with a cookie cutter and stripes from strips of dough. Just place anywhere you want on the pie and they bake right on! Our fearless leader Erica Manfre of American Huney Photography expertly knew to use an egg wash to make the crust look golden! Great tip. 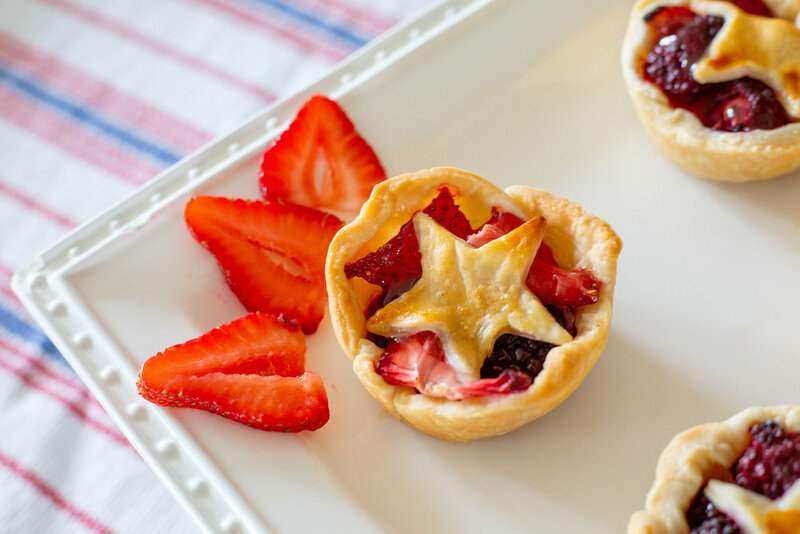 The last pastry we made were these mini fruit pies. We used ready-made pie dough in a greased muffin tin then added the filling. A mixture of strawberries and blueberries and sugar sugar wash then poured into the little dough cups. 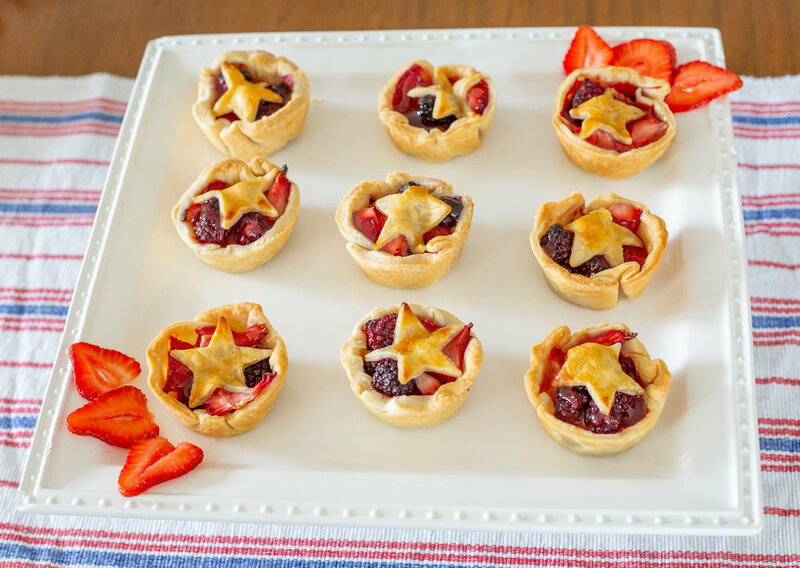 Topped with a star and brushed with an egg wash, these babies were ready for the oven! These desserts are awesome for sharing at an event because they're easy to transport, and don't require any utensils! Plus they are so cute. We hope you all had a wonderful Fourth spent with family, friends, and fresh food! Happy Father's Day from all of us at WCPI! This weekend is Father's Day and to celebrate, we asked some of our amazing dads here at WCPI to give us their best dad jokes. They're so painfully awful and wonderful at the same time...we just had to share! Happy Father's Day to all the dads in your lives!! Have a great day!